Many people dream of the day they pass their driving test. It’s their ticket to independence, and it can open so many doors to economic opportunity and social inclusion. But getting a driving licence can be an unaffordable luxury in some Aboriginal and Torres Strait Islander communities. And finding culturally appropriate driver training and skills development is rare. 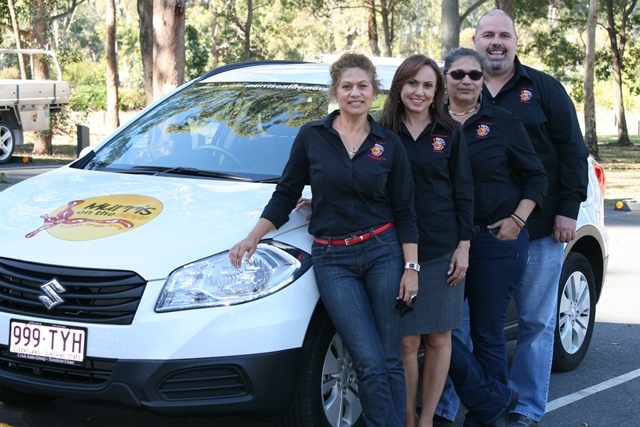 Murri’s on the Move Driving School is reaching out to Indigenous learner drivers from the Sunshine Coast to Caboolture in QLD. Murri’s has the only Indigenous driving instructor on the Sunshine Coast. The goal is to provide best practice driver education and culturally appropriate engagement and training. This helps students develop safe, courteous, and lawful road user skills and behaviour. Murri’s on the Move Driving School is a unique business model which can be replicated in other regional centres of Australia. Kerry Turner, Director of Murri’s, approached ICV to find a skilled volunteer who could help Murri’s access funding opportunities. Volunteer David worked with Murri’s to develop a funding submission which is now in the final stages of assessment with the Department of Education. Like Kerry, David can see the huge potential. “In the long term,” says David, “a thousand people could benefit directly, and many more indirectly. We are all hopeful for a positive outcome, because it will make a real difference to the community and the lives of local Indigenous people. Help make sure more projects like this one can go ahead by making a donation.